As a proven top producing agent, Sam blends innovative technologies with solid, old-fashioned customer service to deliver real results for his trusted clients. He prides himself on establishing strong client relationships founded on honesty, personal attention, and reliability. A native of the Chicago area, Sam relocated to Michigan after receiving a political science and Russian degree from Miami University (Ohio). He entered the real estate industry in 2012 and hit the ground running. He quickly positioned himself as a true market expert and is currently recognized as an HOUR Detroit All-Star, a title given to in the top 5% of Realtors in Metro Detroit. Sam’s rapid success is a direct result of his unmatchable work ethic, personal drive, and commitment to excellence. 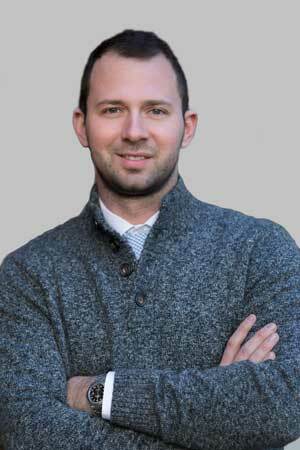 Sam earned his Associate Brokers license in just his 4th year of real estate and was the youngest ever to hold this license in Hall & Hunter’s 60+ year history. Additionally, he earned seven other real estate designations to better serve his clients - the most accredited agent at Hall & Hunter. These include Graduate Realtor Institute, Seller Representative Specialist, Accredited Buyer Representative, Real Estate Negotiation Expert, Certified Negotiation Expert, Pricing Strategy Advisor and Electronic Professional. These certifications and accreditations coupled with his vast negotiation experience allows Sam to serve a wide range of clients including first-time home buyers, international relocation transferees, and multi-property investors. He recognizes the uniqueness of each transaction and strives to provide a personalized approach to meet the needs of each client. As a seasoned, bi-lingual relocation agent, Sam loves introducing newcomers to the many incredible neighborhoods in Metro Detroit. His coverage area spans across Oakland, Macomb and Wayne counties, specializing in the Woodward Corridor. Sam currently resides in Huntington woods with his wife Sarah, son Harrison, daughter Emilia, and their two dogs. In his spare time, he loves spending time with his family, playing soccer, golf, and loves following all Chicago sports. He also is very active as a board member at Oakland Family Services.